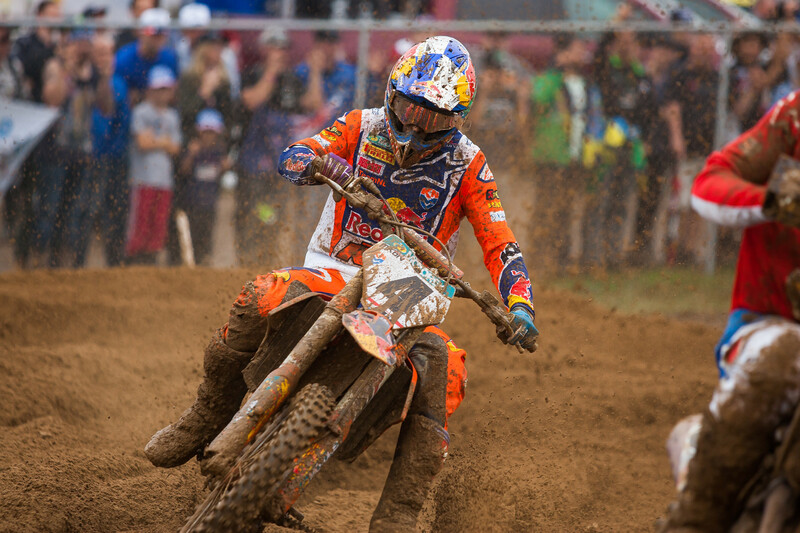 If this was Jeffrey Herlings’ “bad day” the rest of the field has reason to be concerned. Following a dominating MXGP campaign, Herlings came into RedBud looking for one final mark on a nearly perfect 2018 season. Herlings and Tomac didn’t square off today. In the first turn of the MXGP qualifying heat, Herlings was down. After a brief stop in the mechanics’ area, Herlings was dead last and nearly a full lap down. And then he went to work. By lap six he had already worked into the top ten. Two laps later he was in the top five and he capped off an incredible charge by working all the way up to third at the end of the moto. Maybe fortunately for Tomac he did suffer a mechanical, as Herlings was catching him and probably wasn’t going to be stopped. Herlings also got help from his teammate today. Glenn Coldenhoff led the Open heat start to finish and beat Justin Barcia. Calvin Vlaanderen struggled in MX2, but the Dutch were able to drop his score and took the top spot in qualifying with one-three finishes. After runner-up finishes the last two years, is this finally the right time for the Dutch? I know it seemed like a bit of a disaster out there for the red, white and blue but let’s put on our Mr. Positive hat and talk about the effort. 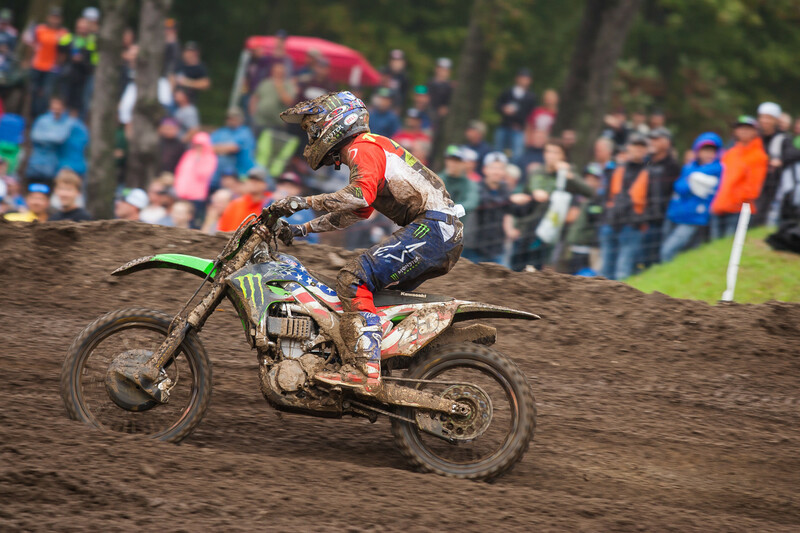 The team looked good to get 5-1-2 scores IF Eli Tomac’s Kawasaki stayed running and Aaron Plessinger didn’t crash while leading. So there’s that. Now I know that saying about if your aunt had, well, you know, he’d be your uncle but even with the issues, the team still pulled off ninth overall for the ninth gate pick. Seriously, it didn’t look good—we know—but without some mistakes USA might’ve been top three overall. Now, having said that, they do need to up their game if they hope to win this weekend. But it wasn’t terrible. Everyone calm down. Everyone, well, me anyway, didn’t talk much about Italy before the race. Of course nine-time World Champion Antonio Cairoli is a bad dude, we knew that. But even he was lost in the Tomac/Herlings talk with a side of Roczen thrown in. Seriously, we barely talked about #222. We should have. Antonio took all that talk and pooh-pooh’ed it with a start to finish win in the MXGP qualifying race. Yeah, Herlings was ON FIRE, but still, AC got the win and that was great. To top it off, his teammates Alessandro Lupino and Michele Cervellin were strong with 6-4 finishes respectively and that was enough to put Italy second overall going into tomorrow. Look, we got a lot of rain all week leading up to this event and also on Friday and overnight. 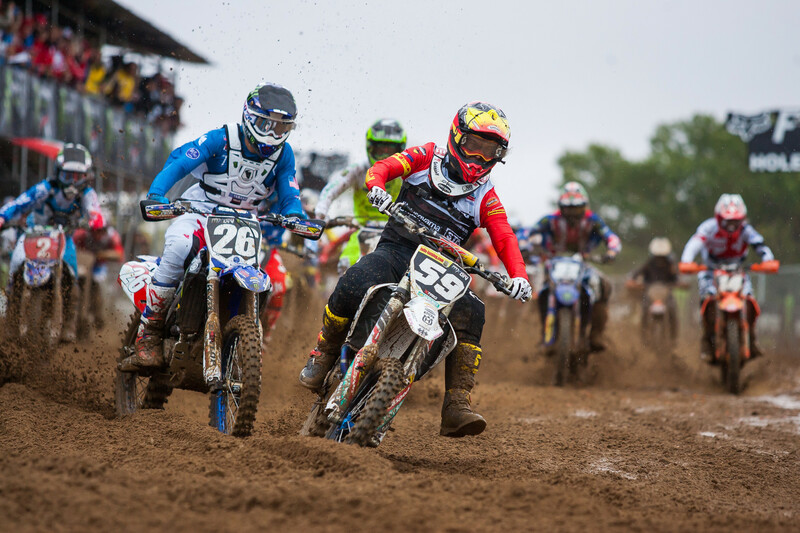 The teams and riders were preparing for the worst here at RedBud. But you know what? It wasn’t bad. Seriously, there was sand brought in for the event and also some smart track prep by everyone involved to “seal” or roll the track. This didn’t allow the rain to get into the sand that much and the place was pretty good. It held up well to all the rain and the lap times got quicker and quicker. Now, some riders we talked to said it got a bit one line out there from the packing, but overall it was pretty good considering the amount of water that fell. 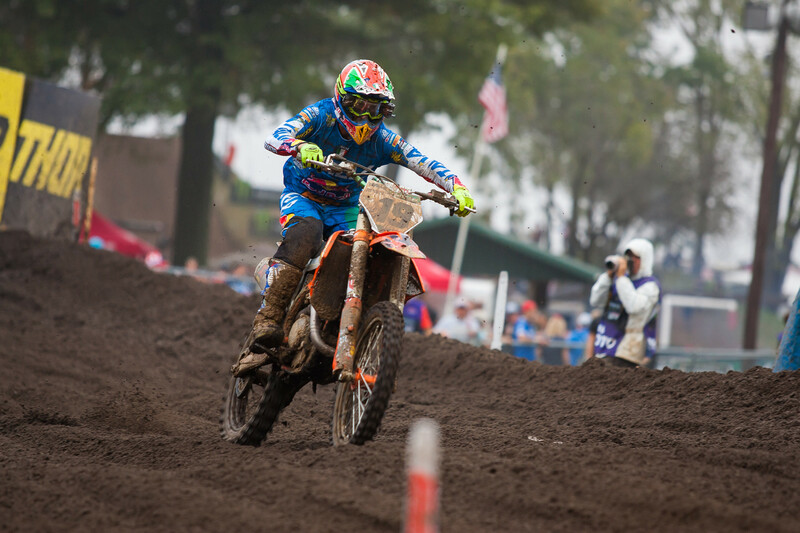 Yes, we knew Ken Roczen would be good at RedBud. What we didn’t know entering the weekend was how good veteran Max Nagl and Henry Jacobi would be. Nagl had a down year in MXGP and while Jacobi had a good year, his results were sporadic at times. 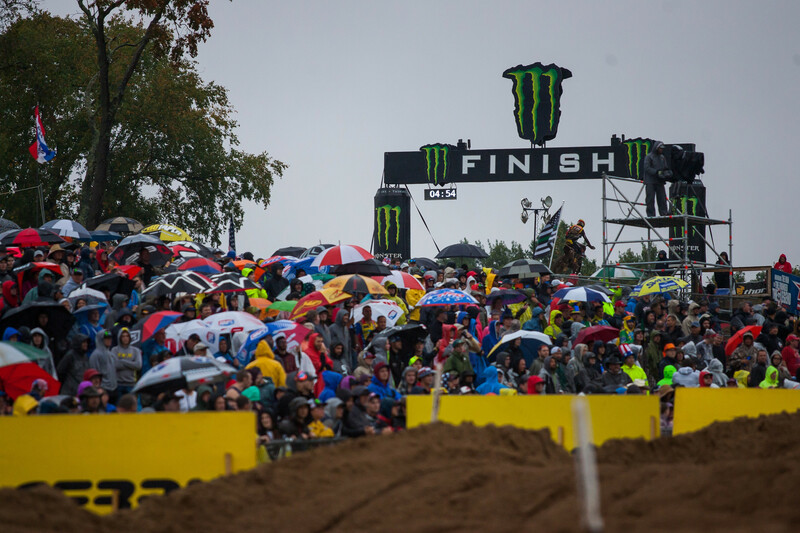 After Roczen finished second to Cairoli in MXGP, Jacob led the MX2 race before eventually finishing third. Nagl was good as well, finishing eighth in Open. If Jacobi and Nagl can bring the same intensity tomorrow, the Germans will be fighting for a podium.